Josie's Juice loves a hotel stay, but make no mistake... we are not necessarily all 'posh style' or hotel snobs. Give us a comfy, soft bed, privacy, a good TV, a room service menu with some good quality tasty options... and we are yours. Travelodge SO fits that bill. Josie's Juice recalls attending the Sydney rebrand launch a few years ago and the rooms were impressive. So clean and neat and comfy - it ticked ALL the boxes for the non spoilt JJ team. We also love our sleep, and en route to the airport for early morning flights are KILLER. So the just opened Travelodge Hotel Sydney Airport is kinda perfect. Located at Mascot, at Riordan Street and King Street in Mascot, it's a mere 500 metres from domestic terminal entrances. YES! 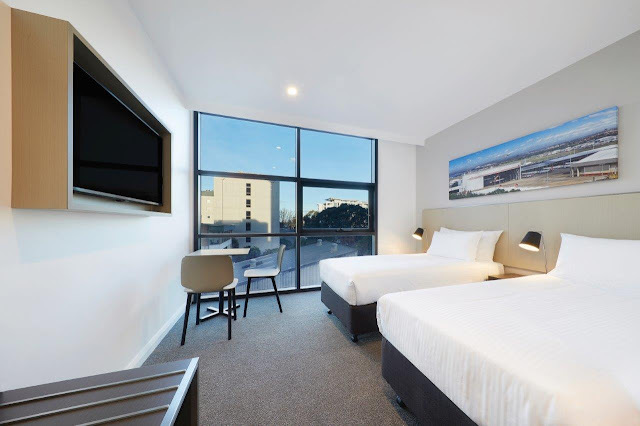 Travelodge Hotel Sydney Airport is the perfect hotel for no-nonsense morning travellers. It's a comfy, convenient spot to rest your head, and the room service is rather impressive. We had the pumpkin gnocchi, with lemon and sage beurre noisette, and goat's cheese. The perfect meal for a late night tummy rumble after a big work day. See the whole menu HERE. 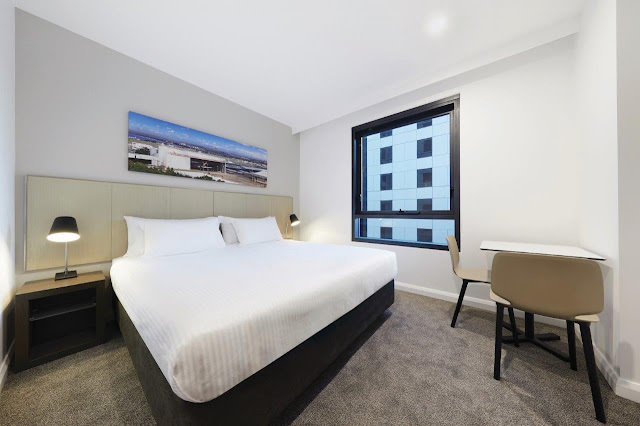 And best of all, and building on the brand’s ‘Refreshingly Simple’ offering, Australia’s first ’Silent Check-Out’ which launched at the hotel when it opened several weeks ago, allowing guests to catch that early morning flight without having to utter a word, from the moment they wake up to when they step on the airport shuttle bus. First, the hotel team will provide guests with a special clock created by tech geniuses Sensorwake. It’s the world’s first Olfactory Alarm Clock and promises “a perfumed, enlightened and melodious wake- up”. Guests simply program the clock before bed and, hey presto, the delicious smell of bacon-y goodness (or brewing coffee, for those who prefer it) will rouse them. Want to have a chat like we do? The hotel’s friendly staff are ever obliging and lovely. 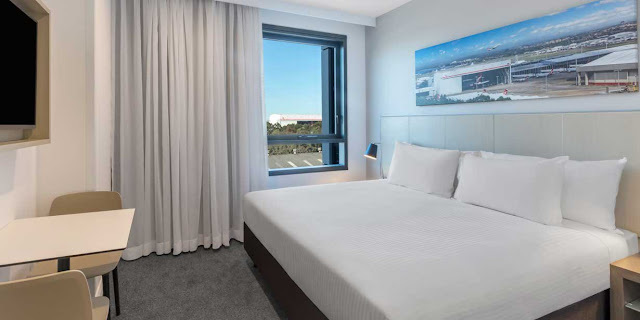 The new 209-room hotel is the eighteenth Travelodge Hotel in Australia and New Zealand and offers “more of what you want and less of what you don’t” in line with the hotel chains 'Refreshingly Simple' brand promise. The hotel offers comfortable beds and contemporary decor, free Wi-Fi, and their standard 11am check-out. 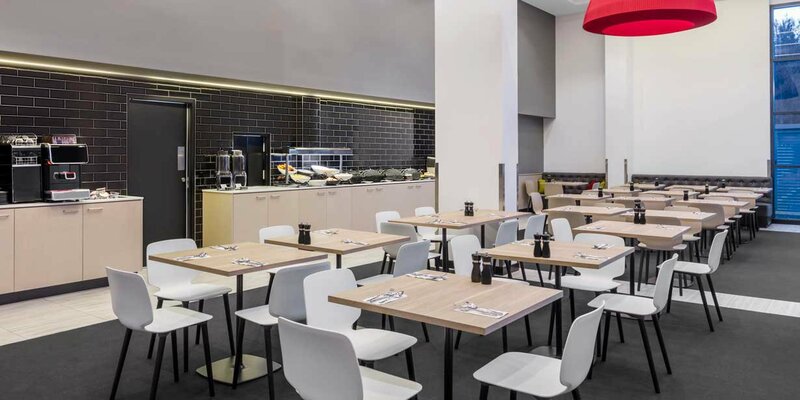 The hotel offers buffet breakfast, and guests can also indulge in the all-day dining and late night bar at T’s Bar & Bistro, the perfect spot to have a cheeky drink. T’s Bar & Bistro serves hearty breakfasts, offers fresh and delicious all-day dining menus and is open until late. 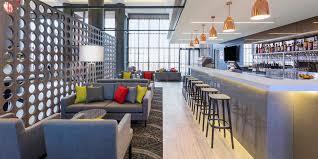 The hotel is spacious with vast open lobby, decorated with cool, modern touches. 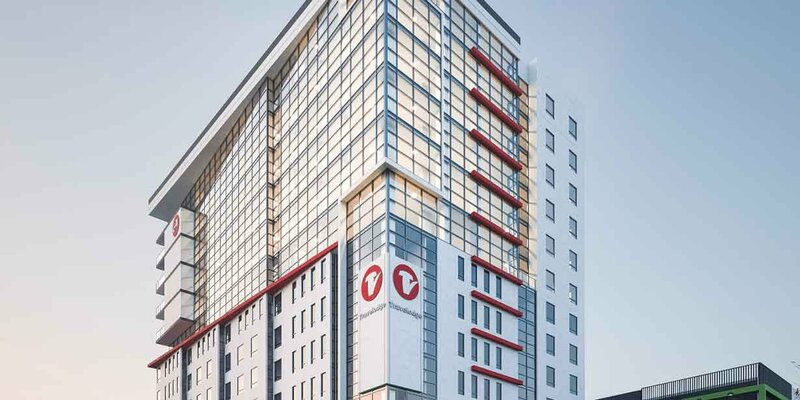 Guests also have access to an 800-bay car park at a rate of $15 per entry per day, or they can take the regular shuttle bus service that operates every half an hour between the hotel, domestic and international airport terminals, available to book for $6 per person per trip. 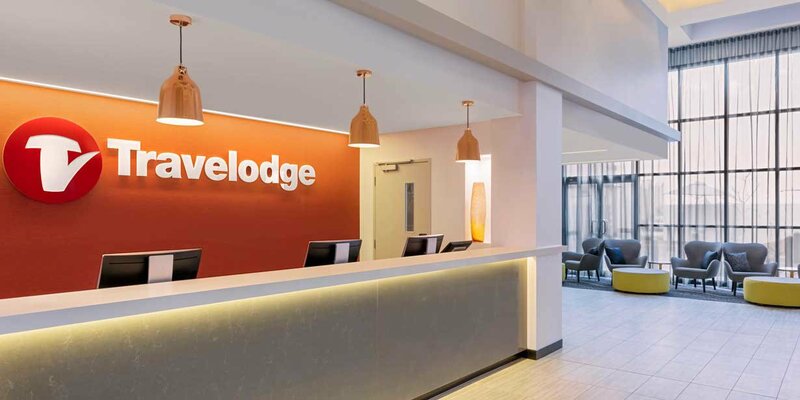 The current promo for Travelodge is 'Travelodge Choosedays'. Every Tuesday is Chooseday at Travelodge. Book online on a Tuesday and choose your next getaway, save up to 15%* and receive a 2 for 1 breakfast!